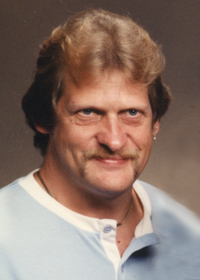 Ronald Dean Wolfe, 68, passed away peacefully Thursday, November 29, 2018 surrounded by his family. Ronald was born March 8, 1950 in Des Moines, Iowa to Leo and Darlene Wolfe. He began working right after graduation and had a lifelong career as a plumber. Ronald was an outdoorsman and enjoyed fishing and mushroom hunting. His favorite team was the Minnesota Vikings. Ronald is survived by his children, Michelle (Scott) Tigner, Douglas (Heather) Wolfe, and Brian Wolfe; brother, Randy Wolfe; grandchildren, Scott, Braden, Kaylee, Madison, Kynlee and Landon; many nieces, nephews, extended family and friends. He was preceded in death by his parents, Leo and Darlene Wolfe; brother, Gary Wolfe; and sister, Carolyn Lampman. There will be a celebration of life at University Park Nursing & Rehab, Thursday, December 13, 2018, beginning at 10:00 a.m. In lieu of flowers, contributions may be directed to Suncrest Hospice or University Park Nursing & Rehab.